The only two companies with a current larger market valuation than Apple are Exxon Mobile and Microsoft. The mother of all USB phone charging cables. 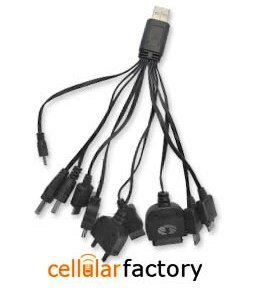 This hydra like mess is the NOKIA 10 In 1 Cell Phone USB Charging Cable (Black) from the Cellular Factory. While some make get a kick out of being able to charge any phone known to man, others will find carrying around all these extra adapters that you’ll never use to be really annoying. I wonder what would happen if you plugged in all 10 different cell phones at once. I’m starting a new category called “Art under my bed”. 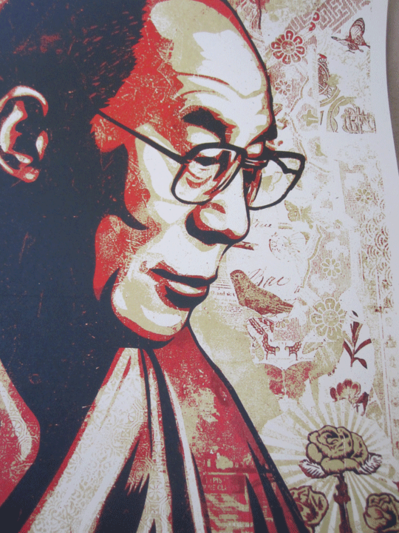 I’ve been collecting art prints for several years now, mostly Shepard Fairey prints, but also of various other artists. Because framing the prints is much costlier than the prints themselves, I am placing them for now in a flat portfolio under my bed, a place where no one will ever see them. Until now. I thought that I would start showing off my collection- a little museum from under my bed. I do plan to frame a lot of them over time or trade some of the pieces for others that I want. Here’s my latest piece. 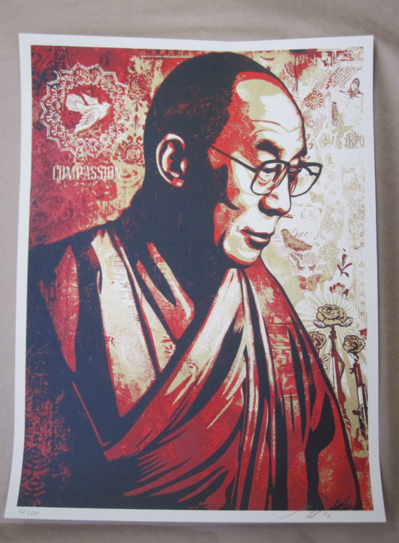 Shepard Fairey’s Compassion (His Holiness The Dalai Lama) print. This is something new, a silkscreen, not an offset print based on one of his larger stencil collages. The closeup detail is pretty amazing. 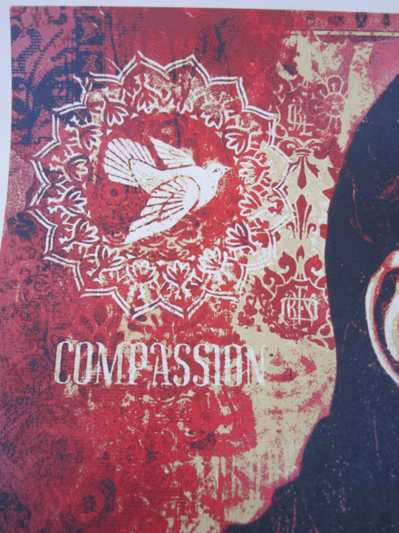 It’s definitely one of the best Shepard Fairey pieces in a while. I think I’ll try to get this one onto the wall sooner, rather than later. Is this art? 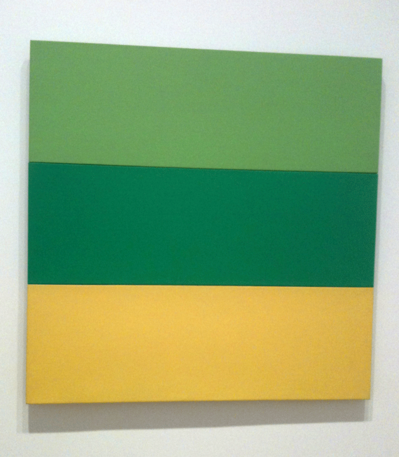 I saw this piece Train Landscape, 1952-53 by Ellsworth Kelly during a recent visit to the Art Institute of Chicago. It’s three colored panels that are connected together. 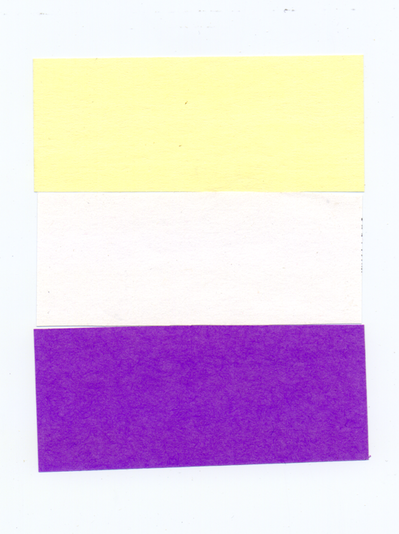 What makes it different than my work, Three Post It Notes, Taped Together 2010? Granted, my cutting and taping job is a little crooked, but if I spend more than 30 seconds doing it, I might be able to get everything lined up better. I believe that many things can be considered art, but to me good art needs to show some skill in its creation. complexity, richness, and, most of all, its relevancy. 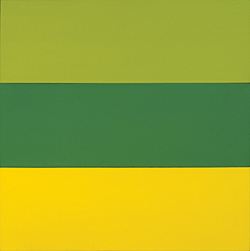 I believe I understand what Ellsworth Kelly’s idea is, a minimalist representation of a landscape view from a train, but even knowing this, I still find the work to be pretty weak. 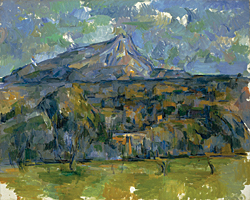 I do like the CÃ©zanne, though. A recent survey commissioned by Microsoft found that 70 percent of recruiters and hiring managers in the United States have rejected an applicant based on information they found online. There is no hiding from the internet. If it’s embarrassing, you probably don’t want it anywhere near your Facebook account, even with privacy settings. I am a little surprised at the stuff that I come across, especially from my younger friends. One of the nicest things about the banana is that it comes in a neat, self contained, biodegradable package. But, what happens if you can’t finish an entire banana? 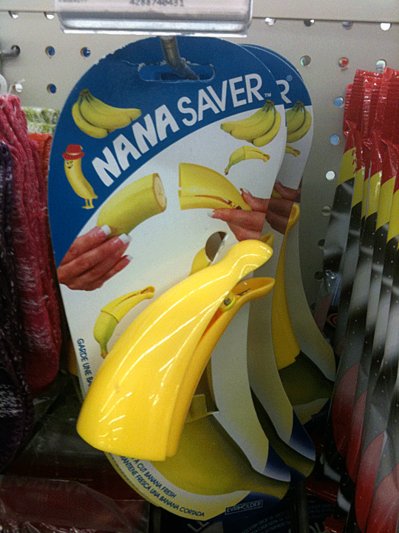 NANA SAVER to the rescue! Of course, you’ll have to carry this dolphin like thing in your pocket for the banana that you may or may not finish. This may explain why losing weight is one of the hardest things to do. People often have the desire to lose weight, but lack the will. 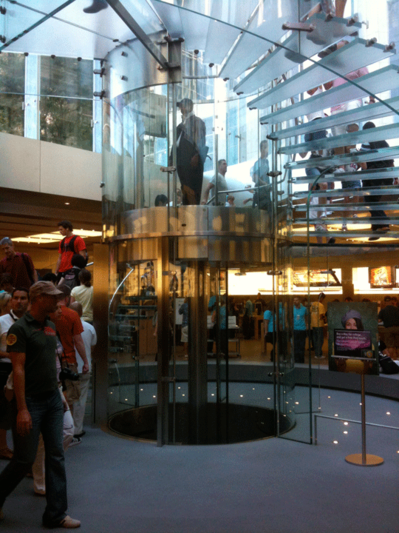 Apple was in the seduction business even in the late 70’s. I wonder how many people even remember the old Apple corporate font, Motter Tektura. This is one of those stickers that I now wish I didn’t stick down, but I was probably 8 or so when I did it. I found this bumper sticker stuck to a big box Apple II floppy disks in my parents’ house. 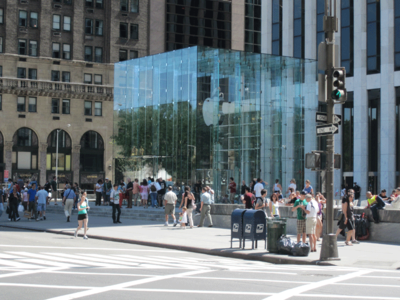 I’ve been to NYC a bunch of times and the only thing that surprises me is that the Apple Store beat out the Statue of Liberty which is listed only 7th. 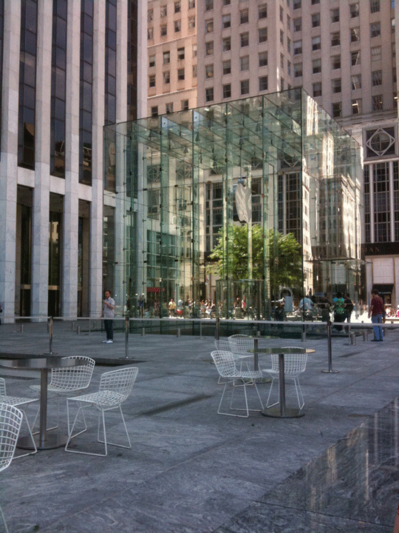 Besides being an Apple Mecca, The Fifth Ave. Apple Store is very distinctive and pretty much begs to be photographed. 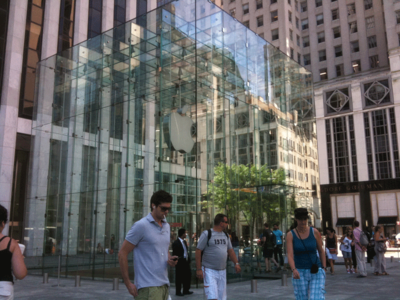 Here are some pictures that I took when I was in NYC this past summer. 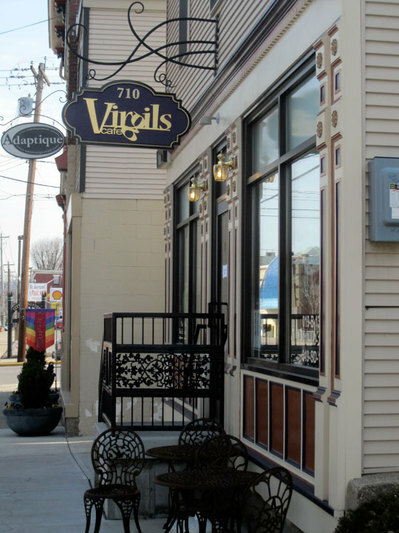 After hearing that Guy Fieri of Food Network’s Diners, Drive-ins, and Dives had filmed a segment of his show at Virgil’s Cafe in Bellevue, KY, we decided to head on over and check this place out for ourselves. I wouldn’t describe Virgil’s Cafe as diner, drive-in, or dive which is OK, because many of the restaurants featured on the show don’t fall exactly in those categories either. What the show does feature are distinctive local restaurants in a city with a passion for creating food. These restaurants have dishes that stand out because of their uniqueness or the meticulousness of the preparation. 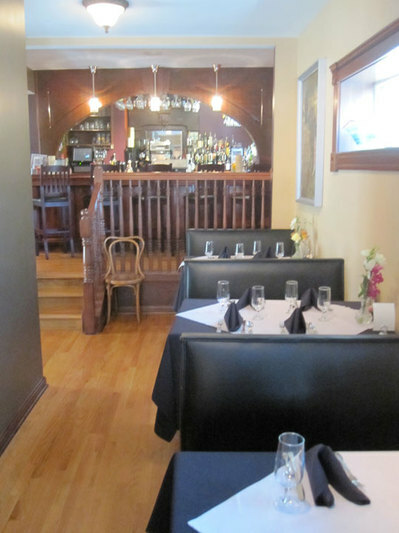 Virgil’s Cafe is a quaint little restaurant with the perfect ambiance for a dinner date. 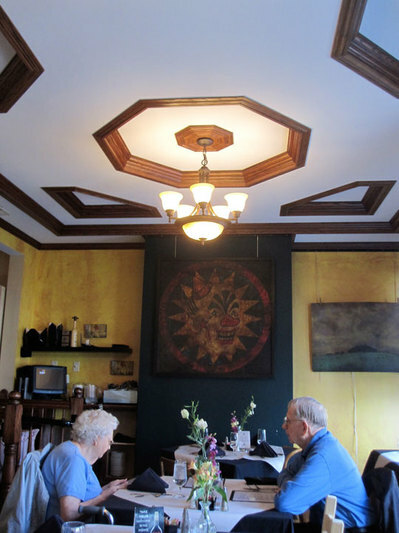 The interior is warm and cozy, though there are a couple of somewhat creepy clown paintings on the wall. Our trip to Virgil’s Cafe was for lunch this past Saturday. 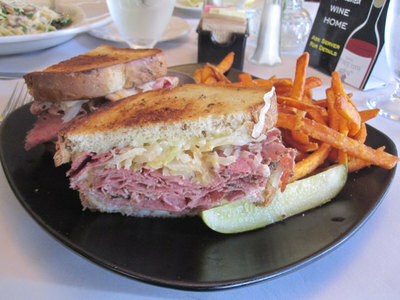 I had the homemade pastrami sandwich with sweet potato fries. The sweet potato fries were delightful and I didn’t even need to use the ancho chile mayonaise that came with it. The pastrami sandwich was quite large and extremely flavorful. I’m a big fan of pastrami sandwiches and if a restaurant has it on the menu, I tend to gravitate towards it. This is probably the best one that I’ve had in the Cincinnati area. 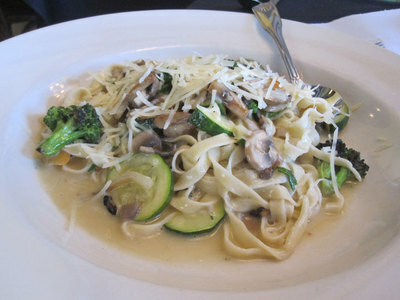 My girlfriend had the Homemade fresh pasta with Seasonal vegetables, wild Mushrooms in Burre Blanc. A simple looking pasta dish, but you can really taste the freshness of the ingredients. It was delicious. 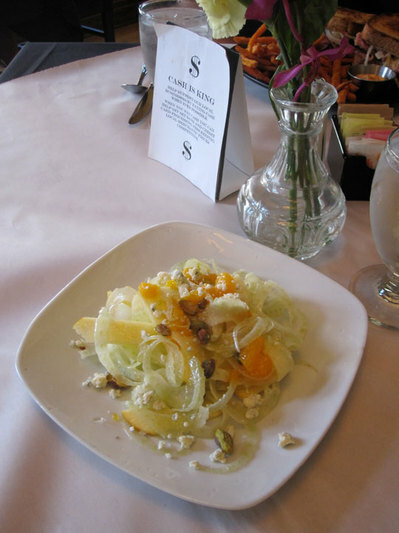 My sister had the Fennel, apple, gorgonzola with citrus vinaigrette and pistachios salad. I’m not a huge fan of salads, especially as meals but it looked nice and she enjoyed it. 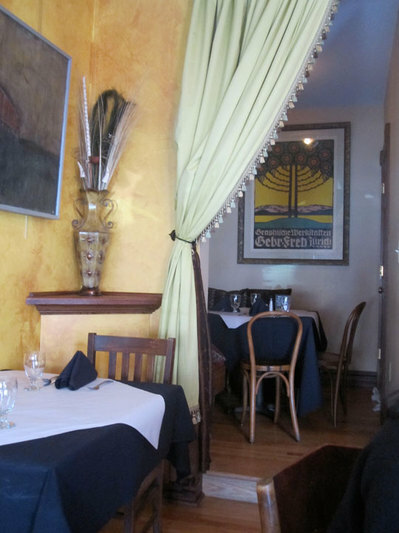 Overall, the food is presented nicely, is tasty, and is reasonably priced. Rather than having a very unique menu, it looks like Virgil’s Cafe was chosen by Diners, Drive-ins, and Dives for the quality preparation of the food. Which ultimately is the most important thing. I’ll definitely be back to try out dinner.